The FBI is grouping unconnected Black people under the label “Black Identity Extremists” for surveillance and investigation – despite the fact that no such group exists. This is a threat to Black activists fighting for racial justice, not to mention our free speech rights. A 2017 FBI report disseminated to at least 18,000 law enforcement agencies nationwide asserts, without evidence, the existence of so-called “Black Identity Extremists Likely Motivated to Target Law Enforcement Officers.” That report could spur even more police harassment of Black activists through surveillance, police stops, and even arrests. We joined the Center for Media Justice in requesting FBI records around why this classification was created, and which Black people and Black-led organizations have been targeted as a result. But the FBI continues to keep critical information secret without any valid justification. We’re suing the FBI alongside the Center for Media Justice. But we can’t fight this in the courts alone. White supremacist attacks are on the rise and our free speech rights are more crucial than ever, so we must all protest the FBI for promoting baseless, illegal surveillance of Black people and Black-led organizations. 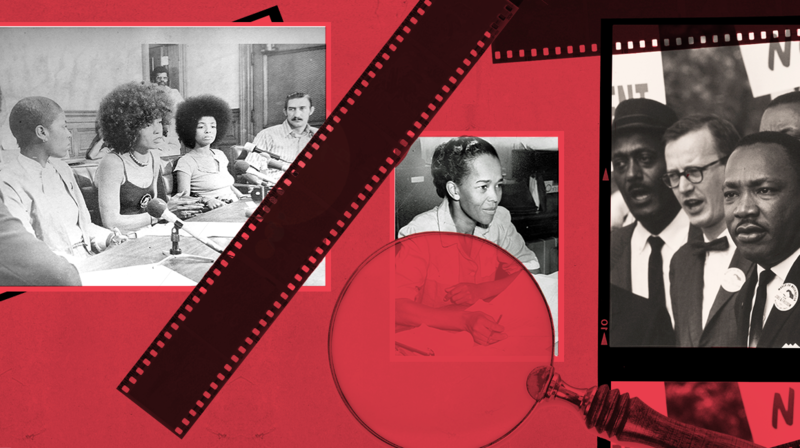 The FBI’s illegal surveillance of Black activists is nothing new. In the 1960’s, through COINTELPRO, the FBI conducted covert activities against Black leaders who were advocating for full equality, including Martin Luther King, Jr., Malcolm X, and Ella Baker. Now, “Black Identity Extremists” joins the long list of terms the agency has used in an effort to justify surveilling Black people. Weaponizing surveillance against racial justice activists was wrong in the past, and it has no place in our present. Add your name now to demand that the FBI stop targeting Black people and Black-led organizations based on the unsupported “Black Identity Extremist” label. Stop targeting Black people and Black-led organizations for surveillance and investigation based on the "Black Identity Extremist" label. Your unsupported claims about this fictitious group raise concern that the FBI is racially profiling Black activists and targeting them for their First Amendment protected beliefs, speech, and associations.